A CI or Full Scope Polygraph is REQUIRED to attend both events. Previous articleMajor Aviation Company is Hiring U.S. Veterans Today! Lindsay Wess is a member of the leadership team at TechExpo Top Secret. Top Secret is the Nation's premiere producer of professional job fairs, primarily for those with an active Security Clearance and, or Cyber Security industry experience. 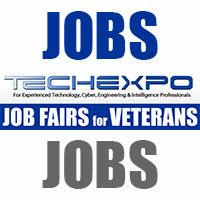 TechExpoUSA.com is one of country's leading online career centers where leading defense contractors, technology companies, consulting firms and numerous agencies of the US Government can recruit and hire these experienced professionals along with Transitioning Military and Veterans. For over 20 years, our company has consistently produced the nation's most successful hiring events for a multitude of industries with a major focus on Technology, Engineering, Cyber Security, Aerospace, Telecommunications and Intelligence. 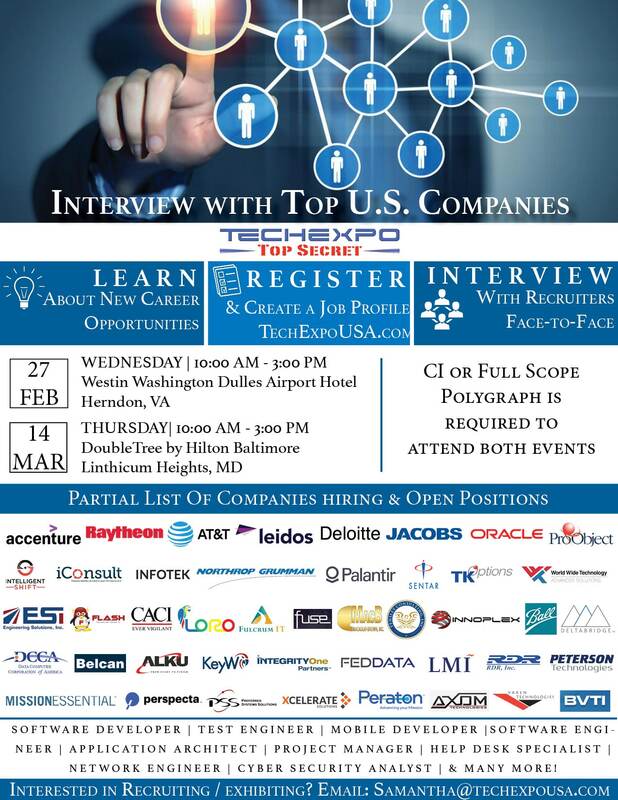 With over 1,000 events hosted by our team, the nation's most prestigious companies have exhibited at TECHEXPO to recruit the best talent in the industry and have provided hundreds of thousands of professionals with new opportunities to advance their careers. 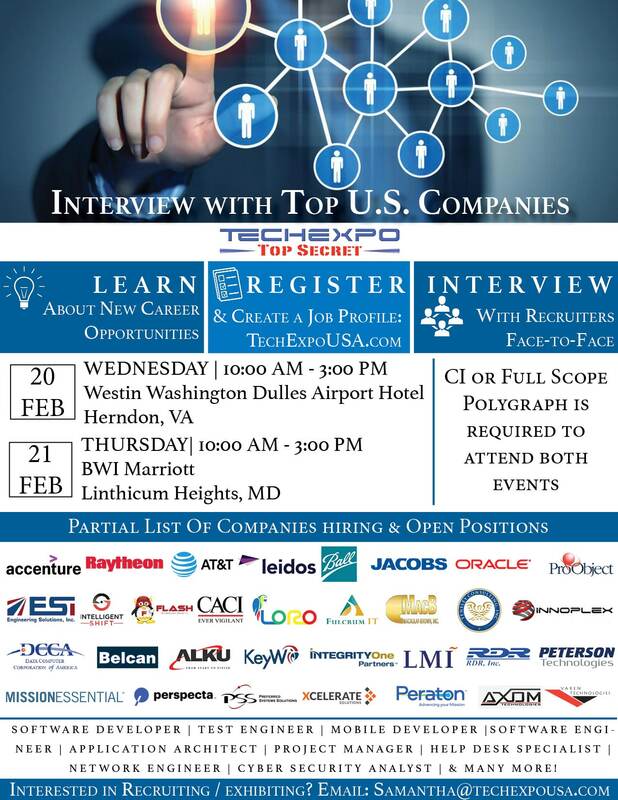 TECHEXPO has been featured on CNN, CNBC, AOL, WTOP, in The New York Times, Washington Post, Baltimore Sun, Wall Street Journal, Baltimore Business Journal and numerous other media outlets. Our active client list exceeds 500 corporations.